Cabal TV: the Washington "experts" who shape public opinion have private clients and hidden agendas. At the Lausanne Conference, which began in November 1922 and lasted until the following summer, the world's leading powers created a new political order in the former Ottoman lands. At least in public, the participants spoke in idealistic terms: the talk was of protecting oppressed minorities and making real the new principle of self-determination for small nations. But behind the scenes, the Western powers had other preoccupations, especially oil. The United States, a new player in the region's diplomacy (and technically just an observer at Lausanne), was keen to present itself to Turkey as a benign political and commercial partner, untainted by Old World intrigues. America's senior envoy to the region, Admiral Mark Bristol, had been cultivating Turkey's rulers and doing his best to suppress information (about atrocities, for example) that might show his friends in a bad light. His boss, Secretary of State Charles Evans Hughes, was sympathetic: in another life he had been an attorney for Standard Oil, which coveted the oilfields in the Ottoman lands that now constitute northern Iraq. In April 1923, America's commercial diplomacy scored a triumph: a giant oil-and-railway concession was awarded by Turkey to an American syndicate, favored by Bristol, to the dismay of Britain and France. The concession collapsed (partly because Britain was occupying the lands it involved), but the pro-Turkish tilt among America's political, commercial, and intellectual elites continued. In respected American journals like Current History, articles began to appear in praise of the young Turkish state. The American public's sympathy for the travails of the Christian subjects of the Ottoman Empire, which had been overwhelming a few years earlier, was counterbalanced by a new narrative. Has anything really changed? Governments still present their policies in terms of lofty ideals, even when cash and contracts are heavily on their minds. Public servants continue to have private interests that they often try to conceal or play down. And the brokers of financial and political power still use all available channels of information to create a benign atmosphere for their activities. In a startling recurrence, the oil deposits that were at stake in Lausanne, those of Iraqi Kurdistan, have recently triggered a fresh conflict-of-interest controversy. Peter Galbraith, a former U.S. diplomat who advised the Kurds on how to keep control of their resources in a federal Iraq, has acknowledged (and vigorously defended) his business interests in the region, including a contract with a Norwegian firm that developed Kurdistan's first oilfield. "I was a private citizen at the time [the contract was negotiated], and private citizens engage in business," Galbraith has said. But his credibility as a participant in deliberations about Iraq's future would surely have been affected if his business connections had been more fully and widely known. So are today's dubious public-private ambiguities just a case of deja vu all over again? Janine R. Wedel, a fellow at the New America Foundation and professor of public policy at George Mason University, thinks that something new is happening. She believes that government policy and public debate are being distorted in ever more inventive ways by the private interests, or the passionate beliefs, of small groups of interconnected individuals. She also believes that the social sciences offer useful ways to understand this process in which dusters of powerful individuals collude to pursue conspiratorial aims and protect one another. And she proposes some terminology to describe these versatile cabals. In Shadow Elite: How the World's New Power Brokers Undermine Democracy, Government, and the Free Market, her study of the expanding gray area between the public and private sectors, Wedel focuses on two things: the outsourcing of government, and the capture by private interests of information and debate. She writes with passion about the risks of allocating previously public tasks (from designing weapons to running prisons or disbursing foreign aid) to corporations that are formally private, albeit sometimes very well connected with officialdom. As she argues, the conservative ideal of lean government, pared of unnecessary red tape, very easily slides over into government by contractor: the handing out of very sensitive jobs to operators who are relatively free from public scrutiny. After a certain point, contractors who deliver services to the government actually become the government. As a result, administration is not small, but rather comparable to an iceberg: a giant object of which the greater part is invisible. Demarcation problems are especially acute, Wedel believes, when big contractors have the task of choosing and overseeing smaller ones. Things also get fuzzy when contractors are installed deep inside government departments to form mixed teams. Sometimes the same individual can be classed as a regular government worker for some purposes and a contractor for others. Questions about who is accountable to whom for the use of public funds become impossible to answer. In Wedel's view this blurring of government's edges creates a perfect habitat for the groups and individuals who fascinate her: fast-moving, close-knit clusters of cronies that she dubs "flex nets." Participants in these networks are adept at hopping inside and outside government, and helping their friends to show similar agility. As one example of a skilled "flexian"—another of her neologisms—she cites Steven Kelman, a Harvard professor who came to Washington in 1993 with a brief to overhaul the entire contracting process, with an emphasis on outsourcing. After formally leaving the government in 1997, he joined a Pentagon task force whose stated concerns included the health of the defense industry. At the same time, he was a director of a company whose annual turnover, of nearly $1 billion, was mostly in public contracts, and he was the author of a column in the trade press that urged governments to be nicer to contractors. If rule by contractor leads to one murky penumbra, a second is created by new sources of information and "debate" that in fact reflect the barely but cleverly concealed private concerns of powerful individuals and interest groups. The proliferation of print, broadcast, and electronic media has created an endless demand for plausible expertise--or "truthiness," as Wedel calls it, borrowing (and building on) a term coined by the comedian Stephen Colbert. This appetite for bite-sized news and comment creates a good environment for the establishment of think tanks that barely exist, except on letterheads which claim that distinguished people have offered their support, and for "experts" whose day jobs involve carrying water for various corporate interests. Here again, Wedel has a fair point. One fresh example of an especially opaque information source came to light just as her book was rolling off the presses. It involved Alex Castellanos, a paid CNN commentator identified by the network as a "GOP strategist." It turns out that while criticizing the Democrats' health care reform legislation on CNN, Castellanos, in his position as a media consultant, was placing ads for the health insurance industry and the Chamber of Commerce attacking that same legislation, without disclosing any of this to CNN or its viewers. He was subsequently retained by the Republican National Committee as an unpaid image consultant, even as he remains a paid talking head on CNN. Readers who agree with Wedel thus far may well be less comfortable with the specific ways in which she applies her theories. Her main case studies are: post-Communist transition in Poland, in which some successful manipulators of the old system achieved mysterious success in the new one; the privatization of Russian industry, in which American advisers, especially a group from Harvard, played a central role; and, finally, the story of a cluster of American neocons who helped prepare the way for the Iraq War. She focuses in particular on three individuals: Richard Perle, Paul Wolfowitz, and Douglas Feith. With respect both to Russian privatization and the Iraq War, she sets out to prove that gratuitously disastrous policies were pursued and popularized by groups of self-interested individuals, exploiting the imperfect boundaries between public and private, and between different countries: America and Russia, America and Iraq. But neither case perfectly fits her theory. For all its flaws, it can be argued that the method chosen for the privatization of Russian industry, including the loans-for-shares program, was the least disastrous course of action available at the time: it helped to ward off two much worse possibilities, namely the return to power of the unreformed Communists or a coup d'etat by the darkest elements in Boris Yeltsin's entourage. In the case of the Iraq War, the disaster is there for all to see, and the subtle and not-so-subtle propaganda that prepared public opinion for the conflict (with false information about Baghdad's arsenal and al-Qaeda links) is a fine example of artificial "truthiness." The three men on whom Wedel focuses did certainly play their part in preparing the way for the invasion: Wolfowitz and Feith were by that time senior figures in the Pentagon. But plenty of other powerful people were agitating for war with Saddam Hussein, especially after 9/11. So Wedel may be exaggerating the importance of her three chosen individuals. In the end, Perle's proposal for relying mainly on local opposition to overthrow Saddam Hussein was not followed; for that very reason he has been able to distance himself from the outcome. Those reservations aside, Wedel's book is a clarion call against some insidious threats to a healthy democracy. If Wedel makes a successful argument in favor of something, it is a robust, courageous, and many-voiced media that can expose hypocrisy, secret agendas, and undisclosed conflicts of interest. The risk of improper crossovers between the public and the private may not be fundamentally different now than it was in the 1920s, but the scale of the problem has grown enormously. These days, government and quasi-government form a much bigger and more complex tangle than ever before. Also, round-the-clock cable television and other new media create a demand for instant commentary that highly partisan voices can artfully fill; genteel articles in learned journals are not the only outlets for propaganda. And lobbyists' money is sloshing around Washington, looking for direct and indirect outlets, on a scale that the oil companies of the 1920s would have found hard to imagine. One striking example of the phenomenon Wedel describes was exposed recently in a long, painstaking investigation by the New York Times: the fact that General Barry McCaffrey, presented on television as an independent authority on military affairs, was also a paid consultant for a firm that was trying to sell a particular kind of armored car to the government of Iraq. The latter activity is perfectly legal, but anybody who is treated to McCaffrey's wisdom on the postwar governance and defense of that country should at least be given some idea of the ground on which he is standing. At a minimum, then, a stricter regime of disclosure is required. Whatever rules are devised to outlaw and expose conflicts of interest, people will find clever ways to dodge them. But the "flexians" will not have things all their own way as long as there is an independent press that is prepared to devote financial and human resources to in-depth investigation. Fortunately there are still some newspapers with the courage and institutional strength to write about this kind of thing--but for how long? No less vital is the existence of nonprofit watchdogs like Sourcewatch or the Center for Public Integrity which expose the real funders and backers of supposedly disinterested pundits, politicians, and think tanks. But their work is subject to the limited budgets and fickle enthusiasms of the foundations that largely fund them. Wedel's observations about the proliferation of supposedly independent think tanks may elicit a dismissive shrug from some Washingtonian sophisticates: surely nobody is fooled by bodies with names like "Americans for Health and Happiness" which turn out to be fronts for this or that environmentally noxious industry: after all, the funding of such outfits is a matter of public record. But people wouldn't set up such bodies if it served no purpose at all. Remember one of the wittiest advertising campaigns ever launched in the United States. An old curmudgeon named Garrison Boyd was presented as a spokesman for ah imaginary lobby group called Americans for Disciplined Behavior, whose self-imposed mission was to warn citizens about the perils of a certain Dutch beer and the decadence it epitomized. The ad's real purpose, of course, was precisely the opposite--to make the beer seem naughty and attractive. But about a third of the people who saw the posters didn't get the joke: they thought the lobby group really existed. So Wedel is probably right to say that by setting up phony organizations, you can fool quite a lot of the people quite a lot of the time, and the result isn't always funny. Bruce Clark is international news editor at the Economist. He has written and lectured extensively on the history of southeastern Europe as well as the post-Soviet transition. No–longer accessible on–line at Washington Monthly. "A new professional class of movers and shakers—people who serve overlapping roles in government, business, and media with smiling finesse—is controlling the flow of power and money in America. The anthropologist Janine Wedel is bent on making us understand just how dangerous this new normal can be." from "Meet the Flexians" by Lisa Margonelli, Pacific Standard, September-October, 2013. Read in PDF format. Presentation at the Princeton University, Program in Contemporary European Politics and Society, Cosponsored by the European Union Program. December 4, 2012. See the flyer. Christopher Hayes, "Why Elites Fail" June 25, 2012. Danielle Douglas, "Washington Research Group has new owner," November 27, 2011. "The 'Shadow Elite,' WikiLeaks, And Living In A 'Dangerous Era'" Interview with Radio Free Europe/Radio Liberty (RFE/RL), August 16, 2010. "Is the intelligence community out of control?" - Responses from John Farmer Jr., Michael V. Hayden, Jane Harman, Reuel Marc Gerecht, John McLaughlin, John D. Negroponte and Janine Wedel. The Washington Post, July 25, 2010. Russia Today TV, "Cross Talk on Forbes Most Powerful: Who is Hu?" with Peter Lavelle, November 12, 2010. 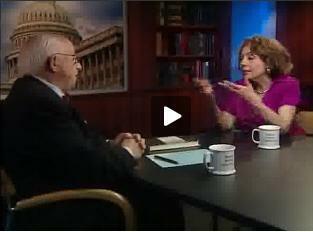 C-SPAN, "Private Contractors & National Security" Washington Journal, 24 July 2010. PBS, "The supranationals: a new kind of elite." "White House Chronicle", July 23, 2010. Al-Jazeera Television, "Empire - Superclass," July. 29, 2010. Janine Wedel discusses impact of Supreme Court decision. MSNBC, "Dylan Ratigan Show," Jan. 28, 2010. Watch it on Youtube. New America Foundation, Book Launch, Dec. 1, 2009. HuffPost Book of the Month! Shadow Elite is Arianna's January Book Club selection. Arianna Huffington: My first HuffPost Book Club selection of 2010 is Janine Wedel's Shadow Elite, a gripping book that explains why it's been so hard to bring about any real change in America. Huffington Post, Jan. 6, 2010. "This fascinating, authoritative wake-up call…" Publishers Weekly, Dec. 7, 2009. Charles Clover, "The serious study of global affairs…" Financial Times, Jan. 3, 2010. Arianna Huffington, "Shadow Elite Explains Why Washington No Longer Works." Los Angeles Times, Jan. 10, 2010. Bruce Clark, "…a clarion call against some insidious threats to a healthy democracy…" The Washington Monthly, January/February 2010. "…throws light on how power brokering…undermines our government and democracy itself." Vanity Fair, Dec. 2009; p. 114. "…the rise of a new breed of confidence men and women…upend our democracy." AlterNet, Feb. 4, 2010. "…a gripping, disquieting book." Chicago Tribune, Jan. 6, 2010. Raymond June, "The Discreet Charm of Flexians." Global Integrity Commons, Jan. 18, 2010. "…she provides the facts…" BuzzFlash, Nov. 25, 2009. "Wedel…draws the family tree of influence as it has been handed down." The Daily Beast selects Shadow Elite as a "Hot Read," Nov. 23, 2009. "Is the intelligence community out of control?" - "Topic A", The Washington Post, July 25, 2010. Janine Wedel, "Contracting out U.S. security?" - The Arena Debate at Politico, July 2010. Janine Wedel, "Wall Street's bailout gives me déjà vu…" Salon, November 8, 2009.